Are you tuning in? Meals on Wheels People has been changing lives one meal at a time since 1970. With the help of more than 5,000 volunteers, the nonprofit organization now serves 5,000 meals daily and 1 million meals each year. Behind every great community that serves, there are great servant leaders. 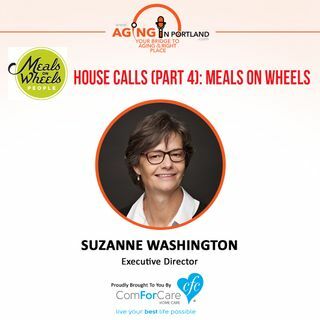 Suzanne Washington has served as the Executive Director for Meals on Wheels People since 2014. The mission is clear: no senior will go hungry or be socially isolated.